Check it out! The NEW Christmas Single from Marcus Gresham, "ANGELS WE HAVE HEARD ON HIGH". Glorious celebration, funky rhythms & groovy soul all proclaiming Our Savior and Messiah--Jesus Christ! This Stellar arrangement includes an original chorus by Marcus that dances the classic carol into a 'hip' & 'unique' gospel variation of joy! The new single makes a great gift at Christmas and beyond. Be sure to get yours today. Remember the Blessings of Christmas! - Music CD. A Vertical Offering of Praise and Worship featuring 11 original compositions. Artistically blended eclectic styles of Urban Contemporary Gospel, Modern, and Inspirational. This project is for anyone who dares to see God become an absolute reality in their lives. Allow His thoughts and His ways to become your lifestyle and you will never regret it. No matter what happens in life, worship God. Speak the Word of God over your life and obey what He says. May you experience His glorious presence endlessly. Marcus Thanks: God my Father, Jesus Christ my Lord and Savior, and the Holy Spirit my Teacher, Guide and Comforter—How Awesome is the fullness of the Godhead in all of its glory! I recognize You as my reason for singing every breath and composing each song. This project is a testimony of Your greatness! The glory of Almighty God endures forever; it is Endless!!! 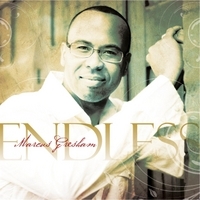 A unique and original Christmas Compostion by Marcus Gresham. Greg Boggs and Russ Jones join Marcus on this dramatic portrayal of the Wisemen's story. This music single is dedicated to one of Gresham's friends and mentors, Jean Dinoff, for her many years of faithful service. For The Rest Of My Life! A Special Dediction Album to the life of my mother and friend, Mary Ann Wise Gresham, This album is an offering of Vertical Praise and Worship unto Jesus Christ and Spiritual Edification for you, the listener. May you be encouraged through its artistic diversity. More than anything, please join me in communicating the Good News of the Gospel Message of Jesus Christ to people everywhere. A Classic and Commemorative Recording from Marcus Gresham. FOR THE REST OF MY LIFE is a Diverse Project with a unique display of Gospel, Christian, Urban Contemporary, Funk, Soul, R&B, Jazz, and Inspirational. The album features 14 original songs dedicated to the life of Gresham's mother and friend, Mary Ann Wise Gresham, now in the everlasting presence of Jesus Christ. Joining Marcus is a Stellar list of family, friends and Artists who lend their artistry and gifts to create ONE DYNAMIC COLLECTION!!! Marcus says: "I know my mother is having the greatest time now in Heaven! I will always think of her and never forget what she taught me....My utmost thanks to my Heavenly Father, for being the Lover of my soul, through Jesus Christ, my Lord and Savior, and for the leadership of Your Holy Spirit. Without You, I never would have had a song. Jesus, You are everything I want to be FOR THE REST OF MY LIFE." CREDITS: EXECUTIVE PRODUCER: Marcus Gresham/PRODUCED BY: Marcus Gresham, Kevin Perry and Rich Barrett/CHIEF ENGINEERS: Kirk Sharrock and Kevin Perry/ALBUM MASTERED BY: Kevin Perry at Chameleon Music (Nashville)/ART DIRECTION & DESIGN: STUDIO 122 Design (now FUDGE CREATIVE)/PHOTOGRAPHY: Jim Shively of Larry Phillips Photography, Inc./PACKAGING: MEDIA TECHNOLOGIES, LTD. (New York) *The ALBUM TRACKLIST includes "If You Got The Answer", "Comin Back", "Ev'rybody", title-cut "For The Rest Of My Life", "Just Pray", "Tell Me What Is Love", "Who Will Go In His Name", "All I Want To Say", "Changed", "Reflection of You", "Grace So Amazing", "Everything I Have Is Yours", "Gonna Be Rejoicin" and "Follow Me Children".